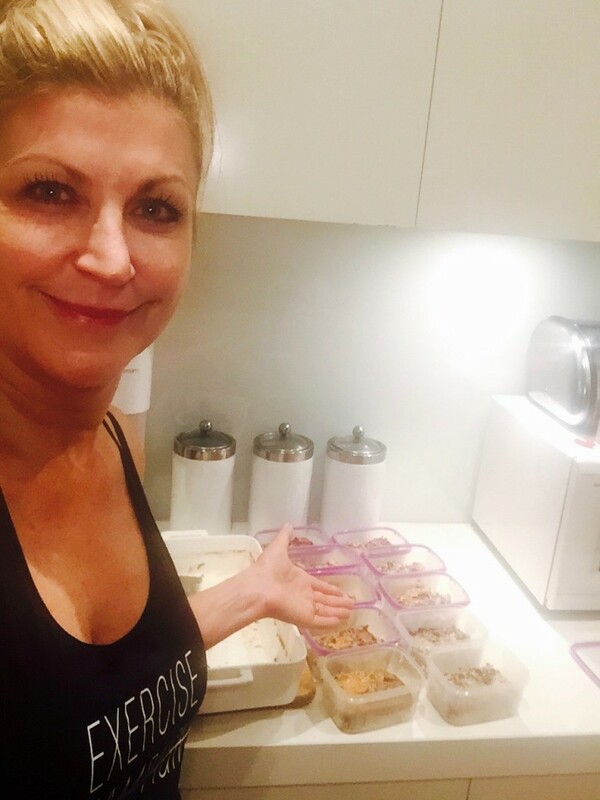 In a recent Blog post about a weight-loss competition among a group of girlfriends, I mentioned that I’d write at a later date some of the diet tips I used to lose those five kilos. Finally here, it is! I am aware and sensitive to the issues of those with eating disorders and am by no means encouraging unhealthy or extreme weight loss, but am also aware that for those who ARE overweight, any help and encouragement can be beneficial. Great, now the disclaimers are out of the way, let’s head into the kitchen! Start the day with a glass of warm water and juice from half a lemon. Wait at least fifteen minutes before eating or drinking anything else. Eat a protein-based breakfast and leave the carbs till AFTER training. (Yes, you must do a weights workout!) This is where the magical FRITTATA comes in. Ditch white wine and drink red instead. I know those who know me well will be shocked to hear I have pretty much given up my much-loved Chardonnay for a glass of Shiraz (or two) at the end of the day and it’s made a massive difference. Due to the fact that I work in breakfast radio, (tune in to SmoothFM 91.5 from 6am till 9am every day to hear MIKE PERSO and myself on the More Music Breakfast Show) I was a little disheartened when Alinta told me I should stick to a protein breakfast in the mornings. How could I cook up a bacon and eggs feast between news and traffic reports? That’s when Alinta’s face lit up and she told me she had the perfect solution. Yep, this is a magical concept that will change your life! With this recipe, you can cook up a HUGE casserole dish worth of FRITTATA and divide it in to ten portions. That means – working Monday to Friday – you have TEN breakfasts prepared from just ONE cook up! 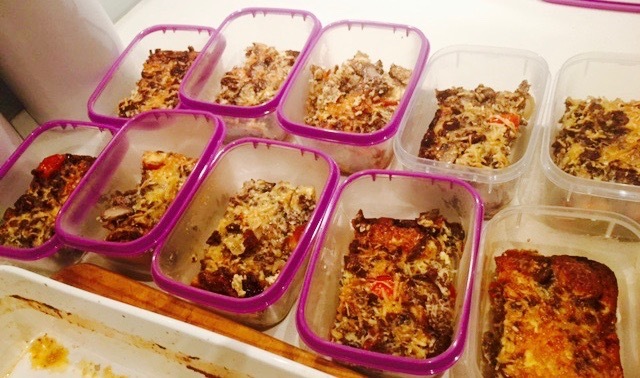 You place each portion in a plastic container – eat four fresh and freeze the rest. It’s brilliant. Just a minute and a half in the microwave and it’s ready to go. It’s so filling, you won’t feel hungry for hours. And it’s a healthy start to the day. There are several versions I make – one with chicken – and one just with veggies but I think I’ll start with the lamb recipe. 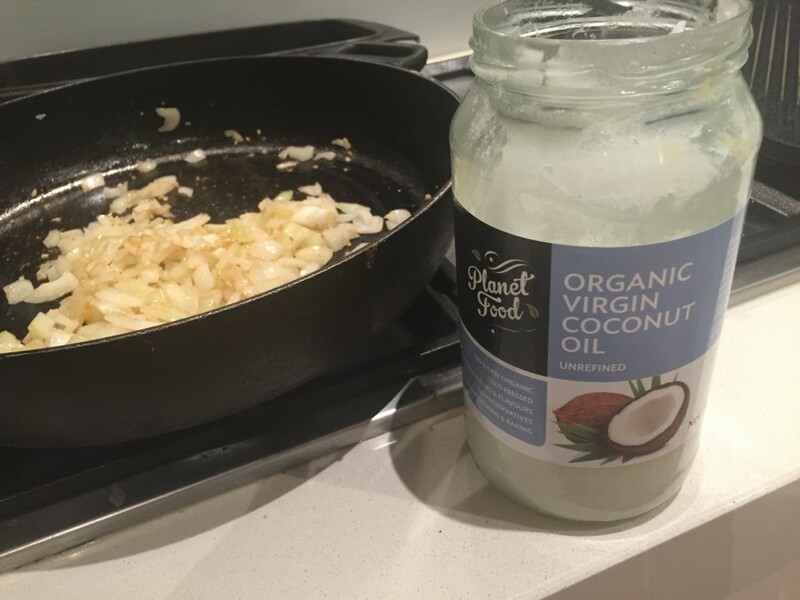 Start by chopping up an onion and frying it in a pan with coconut oil till clear. 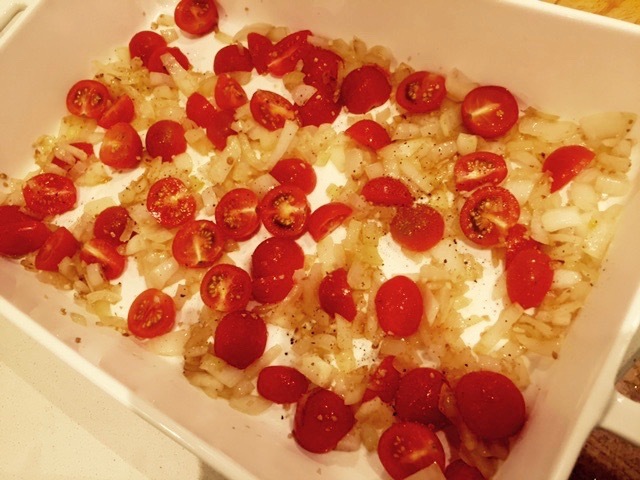 Remove onion and place in a large casserole dish, along with a punnet of Perino tomatoes sliced in half. (uncooked) Sprinkle on salt and pepper. 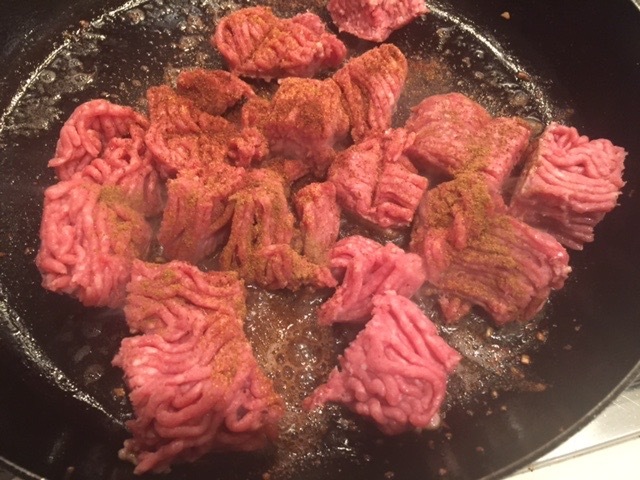 Fry up the lamb mince in two batches, adding the three spices – SUMAC, Cayenne Pepper and Chinese Five Spice as who stir. Add around 2 or 3 teaspoons of SUMAC, two dashes of Cayenne Pepper and two dashes of Chinese Five Spice for each batch. I also love to add a teaspoon of Sambel Olek (chilli paste) for extra spice. 4. 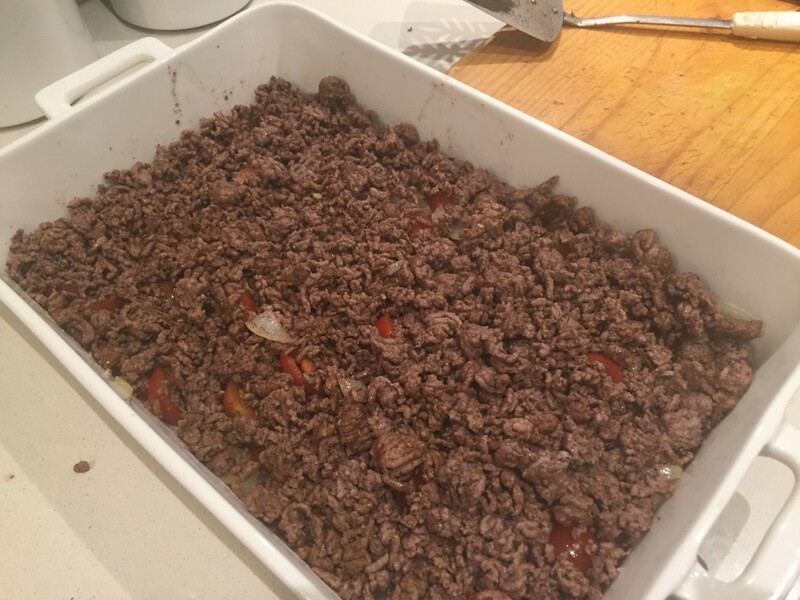 When the mince is browned, add it to the casserole dish on top of the onion and tomato. 5. 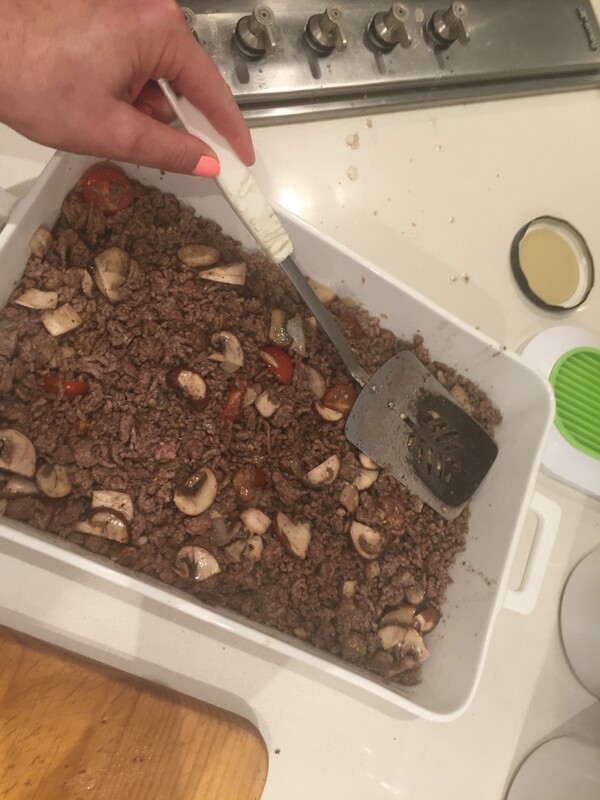 For extra substance and flavour – but this part is optional – fry up half a punnet of sliced mushrooms and add this on top, then pat the meat and veggies down into a firm base. 6. Beat up a dozen large eggs in a big mixing bowl. 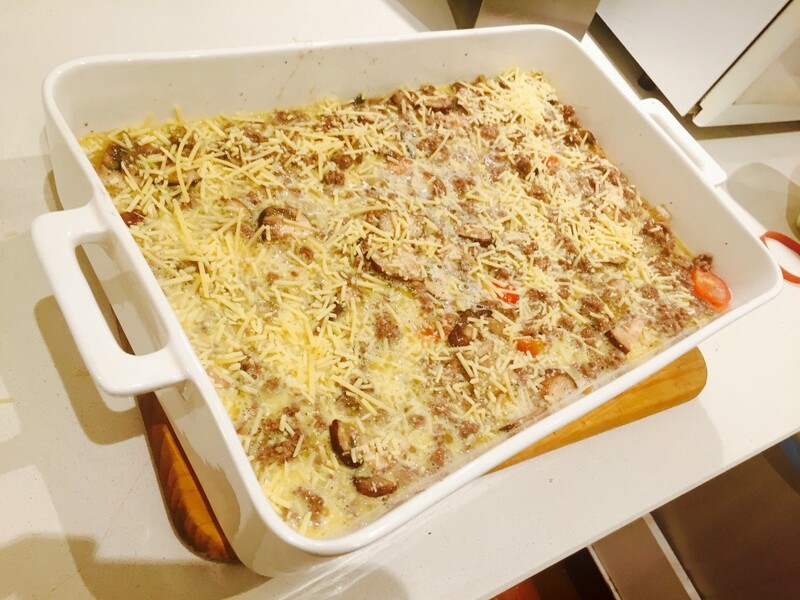 (sometimes you need 14, depending on the size of the eggs) Add a dash of milk to pump up the volume, then pour over the meat and veggie base in the casserole dish. Sprinkle a light dusting of Parmesan cheese on top – unless you are being more diet-conscious – in which case, ditch the cheese! 7. Bake in an oven at 180 C for roughly 40 minutes – checking after 30 minutes to see how it’s going. When it’s golden on top, remove from the oven and let cool for five minutes. 8. Slice into ten portions by cutting one row horizontally and four lines vertically. Then place each piece in an individual plastic container for storage. It really is the best way to start the day! The Thai chicken version is pretty tasty too. 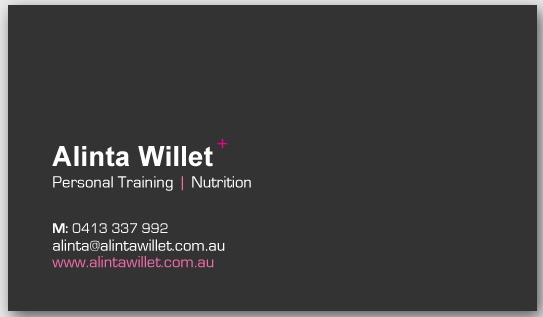 Oh, and don’t forget, if you want to sign up with the lady who has million more wonderful tips on food and exercise, here’s Alinta’s details. 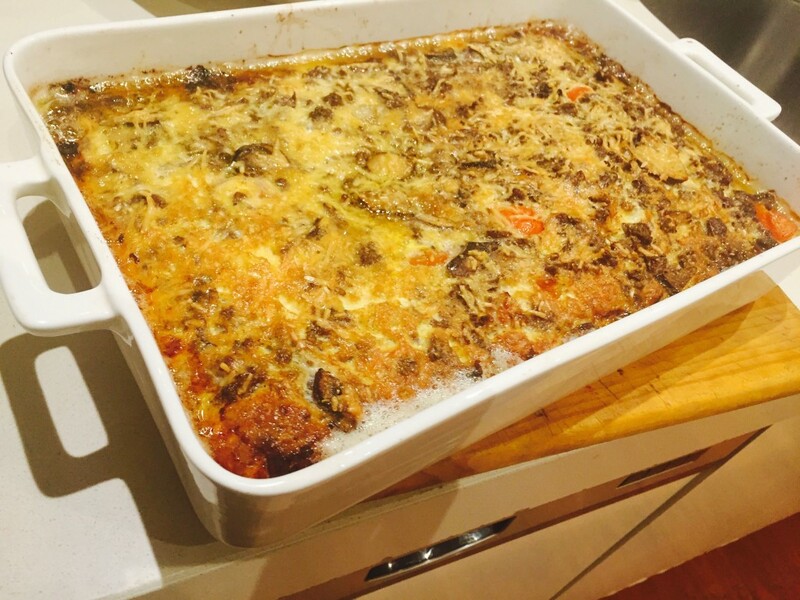 Happy eating and let me know how the frittata works for you if you give this recipe a go! Leading up to the beginning of the month, I was REALLY looking forward to starting Feb Fast. Along with Fletch, we both decided we’d had a pretty indulgent festive season and it was time for a healthy kick-start to the year. 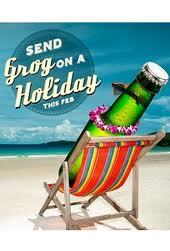 Time to give up the grog for a month. I was enthusiastic and ready for the challenge. … IT IS REALLY, REALLY ANNOYING!!!!! For many reasons. Which I’ll tell you about in a minute. It started out really well. 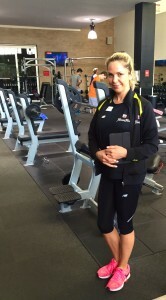 I felt energetic at the gym, was writing more, meeting my deadlines and waking up fresh as a daisy. 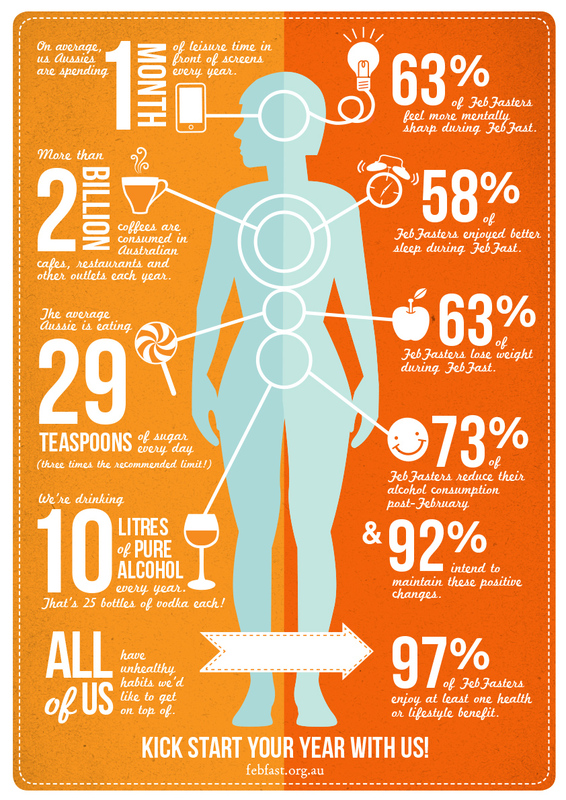 If you’d like to get a clearer picture of all the benefits, just check out this graphic put out by the Feb Fast group. Of course, some of the statistics also relate to the other things you can give up in February if you’d rather keep drinking grog – like coffee, sugar and social media. 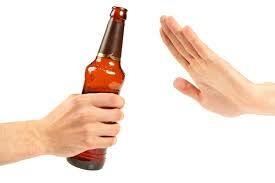 But that self-satisfied smug feeling about saying ‘NO’ to alcohol and being strong wears thin by about Day Four. After a crap day when it’s getting close to dinner time, all you can think about is wanting to crack open that lovely chilled bottle of chardonnay tempting you from the fridge. So you say ‘NO’ to yourself and go back to sorting through emails or getting on with domestic chores. Then you sit down to watch some TV and again you can hear the chardy singing your name. Still you say ‘NO’ but remark to your husband that you might be missing your wine. Just a little. 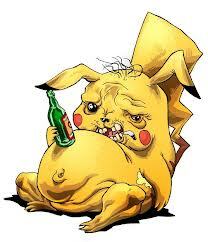 Is he missing his beer? ‘No, I don’t think about it, really,’ he says, smiling. Shrugs nonchalantly. Of course, it’s easy for him. I’m just being silly. He’s right. It’s even worse at social events. Especially because just when you think you’re doing fine and enjoying yourself, someone notices you are NOT drinking alcohol, and wants to talk about it. Really annoying. Then you get some people who look at you strangely when you tell them you’ve given up the grog. They listen for a bit and then nod sympathetically, and throw in a little comment or too that suggests the real reason they think you are doing Feb Fast is because you have a drinking problem. Seriously? Some people can be VERY annoying. Like it isn’t possible to just want one month of healthy living? But there’s light at the end of the tunnel. Well, halfway through the tunnel in fact. Fletch has decided to buy himself a ‘leave pass’ this Friday night when we go out and celebrate Valentine’s Day. YES!!!! Well, I can’t let him drink on his own, can I? That will still make it TWO WEEKS without drinking which is more than I think I’ve done in about ten years. And we’ll go back to Feb Fasting on the Saturday right through till the end of the month. Right now I’m feeling quite smug again as it’s the middle of the day and I can feel proud of myself that I’ve lasted ELEVEN DAYS without cracking. But I’m still dreading that witching hour at about 6pm when my mind drifts toward the fridge. 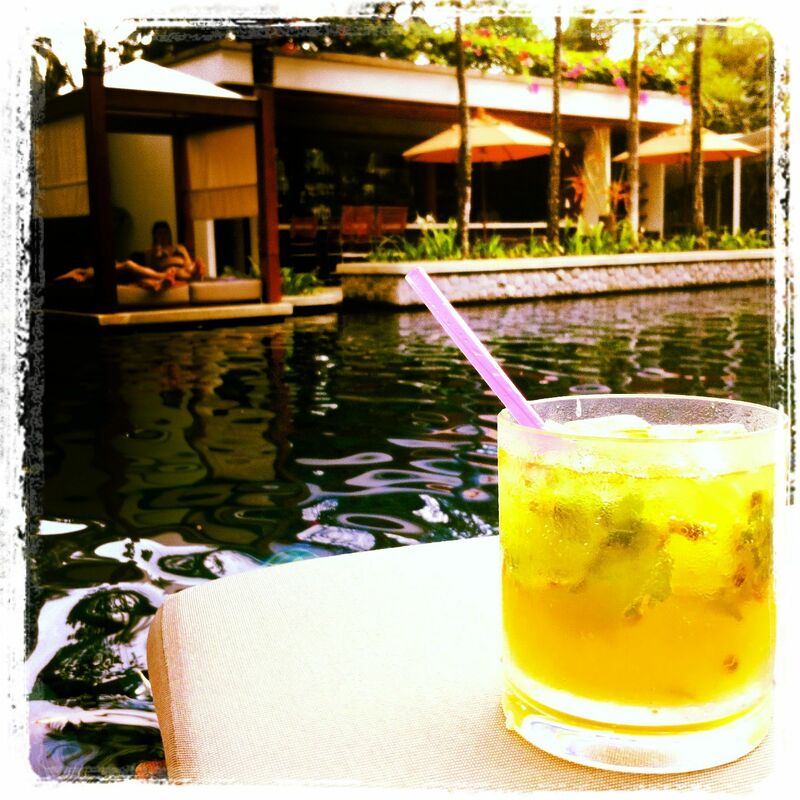 Or back to when we were on holidays by the pool and I had this AMAZING passionfruit mojito…. Ah, memories. I didn’t post an update for the FIT FIX Diet Plan yesterday, as if was my scheduled ‘day off’ from counting calories and having any food restrictions. So I was pleasantly shocked this morning when I stepped on the scales and saw that despite a day of unhealthy indulgences, I’d still lost weight! It’s surprising given how much I ate. The day started off with thick cafe-style raisin toast with lashings of butter and a cup of tea. Then for morning tea, I went all out. 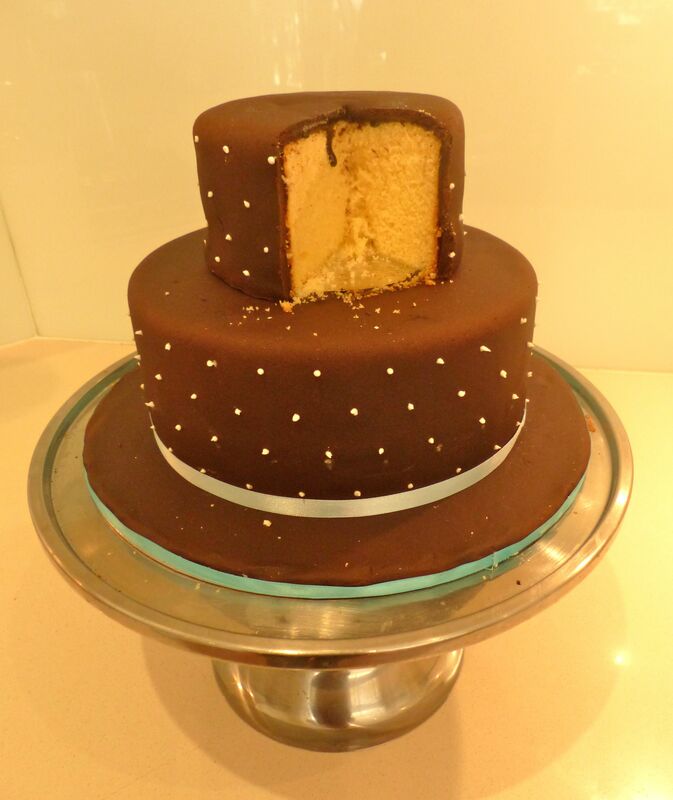 For days, I’ve been yearning for a slice of a heavenly cake my daughter baked, so yesterday was the day to tuck in – and I did it in style with two big scoops of cookies and cream ice-cream on top. For lunch, the kids wanted cheesymite scrolls from Baker’s Delight, so naturally, I had one too. Two large pieces of dark chocolate for afternoon tea, followed by a night out at a Japanese restaurant with bucket loads of wine followed, so it only seemed logical that I’d face the music on the scales this morning. But no. 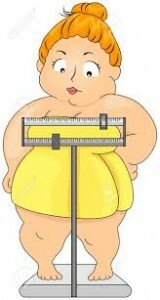 Joy, oh joy, the number dropped to 68.4kg. This time last week I was 71.4kg. I can only imagine it’s the result of the cumulative effect of being ‘good’ all week and exercising pretty hard with daily spin classes. (And that wine is very good for you.) Today, I’m back on the program and sticking to my guns. See Friday’s post for today’s food list if you are wanting to follow suit. The pineapple, mint zest juice is my favourite! Tomorrow, I’m back on a one-day JUICE FAST and looking forward to it. 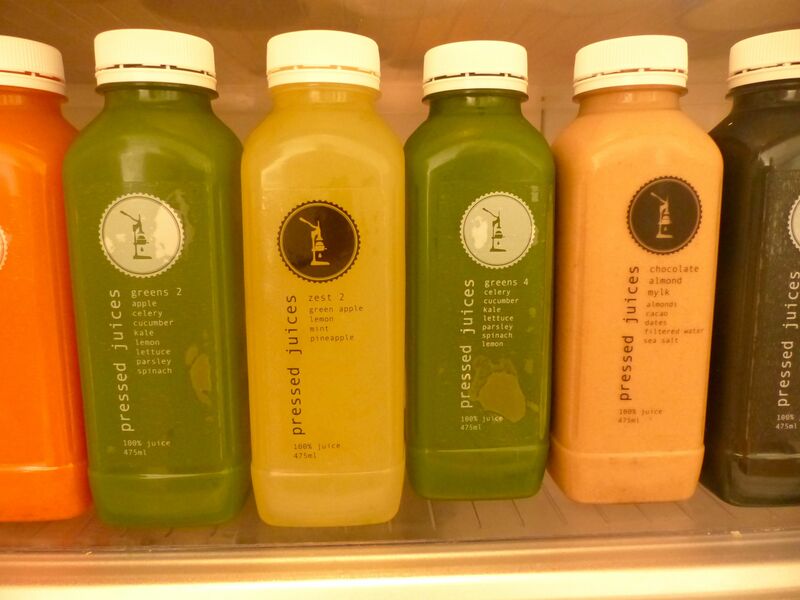 And very grateful there’s a store like PRESSED JUICES to do all the hard prep work for me. Will keep you posted on the rest of the week’s dietary plan tomorrow. 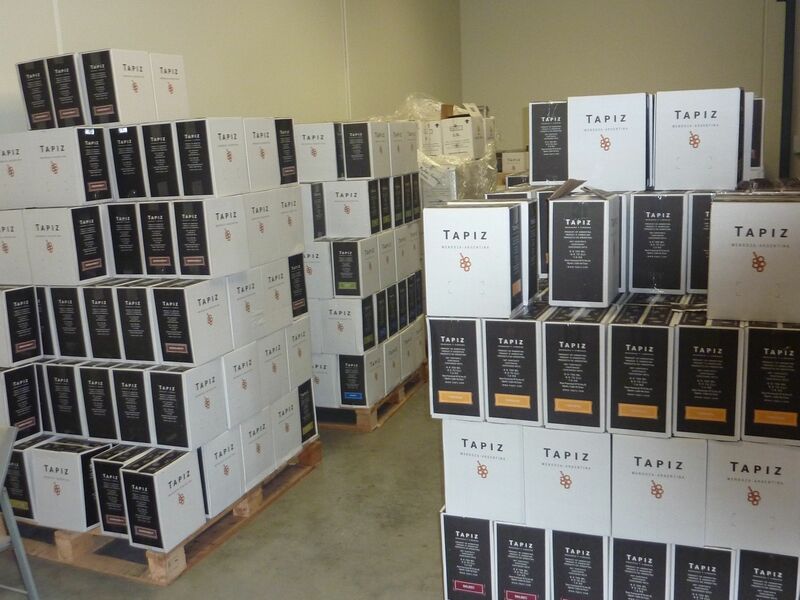 My friend, Bronnie, contacted me after I ran a story last week – ‘The BEST Chardonnay in the World’ – to say she’d ordered a case of the Tapiz wine and was LOVING it. The BEST chardonnay in the world! Phew. I was relieved, because, YES, I did make a pretty big statement, saying it was the BEST Chardonnay in the world. I’m no wine expert, but I am an experienced chardonnay drinker so felt compelled to share my discovery – especially because the story involved tracking down the liquid gold from London to Argentina to Melbourne. But when friends take your judgement on board and invest in a case of wine, you feel a huge sense of responsibility. What if they hate the stuff and blame you for promoting it? What if you start losing friends by the droves and making enemies? Taste is highly subjective, after all. Awkward… Thankfully, in Bronnie’s case this didn’t happen and the story she shared made me feel doubly good about running this story. When Bronnie went to sample her first bottle, she couldn’t find a corkscrew. 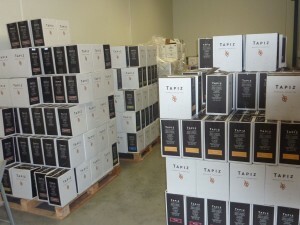 And yes, the Tapiz chardonnay is sealed in the old-fashioned way, with a cork. So she asked her next-door-neighbour if she could borrow one, and in doing so, offered her neighbour a glass of wine. As they both savoured their first mouthful and Bronnie declared it a winner, her neighbour asked where she got it. Bronnie said it had to be ordered and it wasn’t cheap – it was $27 a bottle. ‘I don’t give a f***. I’m ordering a dozen!’ her neighbour declared. SO THERE!! At least two people in the world agree with me that this is one very special wine. I’m just a tad concerned that Victor and Sylvia haven’t ordered enough in their first shipment. I mean look at what’s left in their cellar? Now that the word is out, this lot is likely to go in a jiffy. Which reminds me, I’d better get on the phone right after posting this so I don’t miss out! OR phone Business Manager Sylvia Scalia on 0407 881 188.